I wrote yesterday, that we have an Toyota Prius as a car. Forget this ... this car stands at the Monterey Airport now. We had to swap it. Somewhere near Gilroy the windscreen of the car cracked. 20-30cm crack on the drivers side. At least Avis swapped the car without questions asked and now it´s one of this SUV, a Hyundai Santa Fe. When you are already in Monterey you should really visit Carmel-by-the sea. A great beach. A nice village. And obviously you should drive back to San Francisco via the Highway 1. A time consuming way to get to SF but it´s a great trip. You drive right at the side of the pacific shoreline. BTW: One of the difficult things in the US is refueling ... at least when you are accustomed to the european variant without prepaying the fuel. 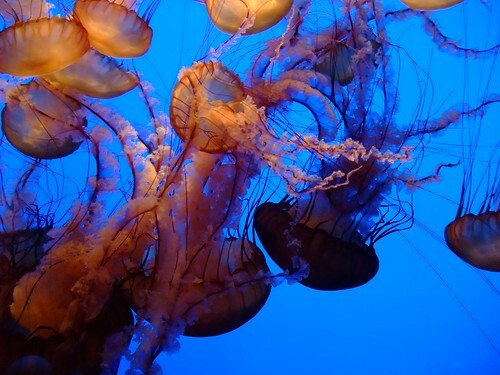 wow - so you guys actually went to see the aquarium! it's one of the most awesome places on hgwy 1. the big tank - man! if you go down to big sur stop at nepenthe and have a coffee on the terrace. across the road is ventana inn which is a rip-off but their terrace is even better and less crowded cause less ppl know that its there. sipping a cocktail and watching the sunset is mesmerizing. 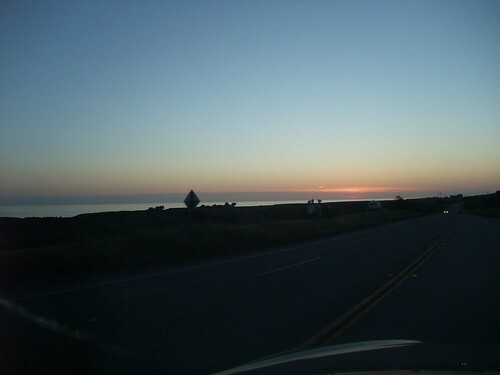 stay the night a mile down the road at detchens and your perfect big sur day will come to an perfect end. FAll is beide Burger moegt, kann ich den IN AND OUT BURGER am Pier empfehlen. innerhalb von 6 Tagen war ich glaub ich 5 mal dort. Tanken - Oh wie wahr. Vor allem wenn's an jeder zweiten Tankstelle dann wieder anders ist. Trotzdem noch viel Spaß!